"In Oyama Karate nobody asks you about your religious persuasion, nationality or homeland. We all make one big family, we are all karate people. /... You are so lucky to have such a great Sensei and leader - Jan Dyduch. 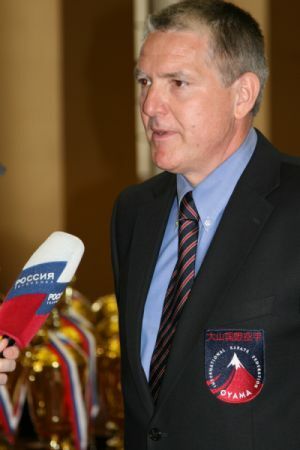 Just keep following him..."
The founder and President of the OYAMA International Karate Federation is Hanshi Jan Dyduch 8 th dan, from Krakow, Poland. He started off in karate back in 1974 in one of the city's Kyokushinkai Karate club. The following year he represented Poland at the 1st World Open Karate Tournament (Karate Kyokushinkai), held in Japan. His excellent performance was awarded by Kancho Masutatsu Oyama with Special Prize in Tokyo. 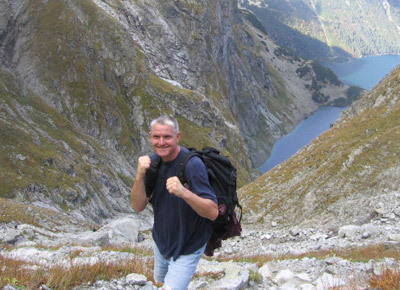 In 1976 he became Polish Heavy Weight Champion in Karate Kyokushinkai and won the Gold Medal at the International Karate Kyokushinkai Tournament ("The Wawel Dragon Cup") held in Krakow. In 1977, after his return from India and Afghanistan, he concluded his career as a karate contender and embarked on a brand new one - as a karate instructor in Krakow. In 1979 he graduated with honors from the Department of History, Pedagogical Academy in Krakow. 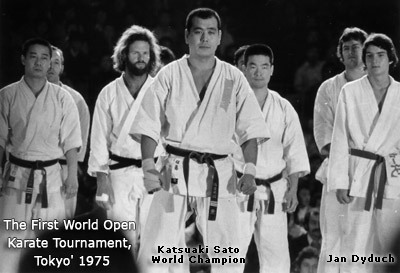 In 1980 he passed with honors the master examination for the 1st dan in Kyokushin Karate, and in 1983 for the 2nd dan. Apart from his sporting pursuits, he was also heavily involved as a high ranking activist in Polish Kyokushin movement, e.g. 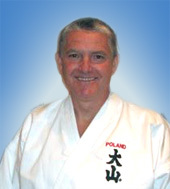 Chairman of the Kyokushinkai Committee within Polish Karate Union, President of Karate Kyokushinkai Club in Krakow. In 1985 - 86 and in 1990 he trained extensively in the USA. In 1991 he met Grand Master Shigeru Oyama, 10th dan, under whose persuasion he decided to leave IKO Kyokushin. 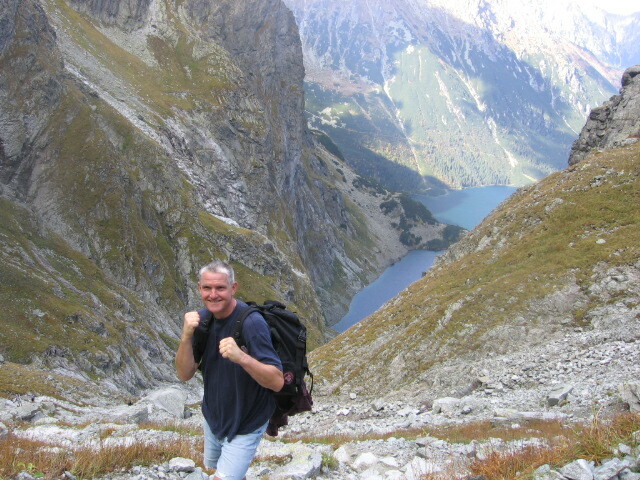 As of 1991 he has been actively involved in promoting OYAMA style in Poland. In 1992, whilst visiting the Netherlands, he successfully passed a qualification test for the 2nd dan in Oyama Karate, and very shortly afterwards for the 3rd dan. In 1994 he was awarded the 4th dan. In 1997 he was awarded the 5th dan and granted the title of Shihan. In 2001 he was awarded the 6th dan. In 2004 he was awarded the 7th dan. 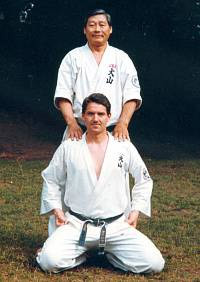 In 2010 Soshu Shigeru Oyama 10th dan granted Jan Dyduch the 8th dan Master black belt and a Hanshi title, in recognition of high masterly qualifications in karate, significant successes in training, sport and outstanding merits in propagating and organizational development of Oyama Karate at the international level. Hanshi Jan Dyduch has successfully trained to date a great many excellent karate contenders and instructors, e.g. World Champions, World Cup Champions, several medal winners at the European Championships, and dozens of medal winners at Polish Championships and Polish Cup Finals. 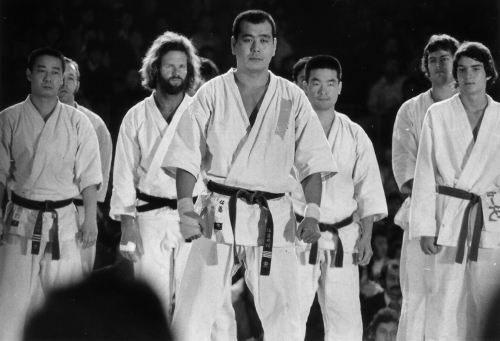 He trained or promoted around 450 Oyama Karate black belt holders in Poland and East Europe. Master of Arts at History Department ( Pedagogical University in Krakow). Karate couch 1st class (Higher School Sport Coaches in Warsaw). Karate coach 2nd class ( Academy of Physical Education in Poznan). Sports manager (Jagiellonian University in Krakow).